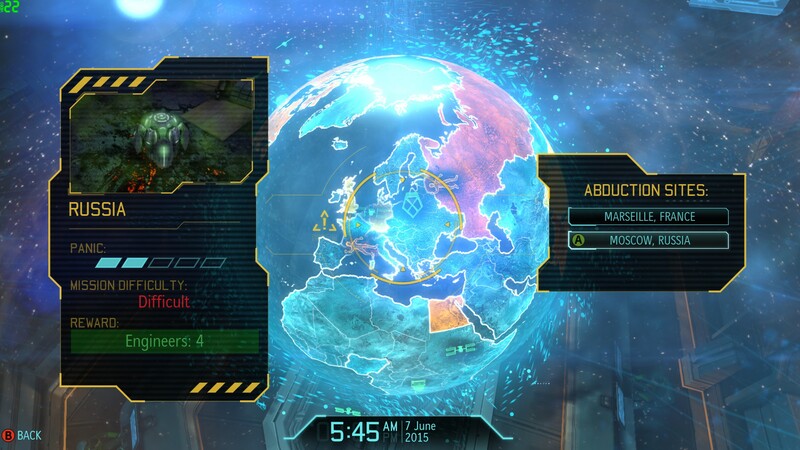 Let’s Play XCOM: Enemy Unknown! Part 2: Winning battles, whither the war? As Part 4 ended, things were going smooth as butter. 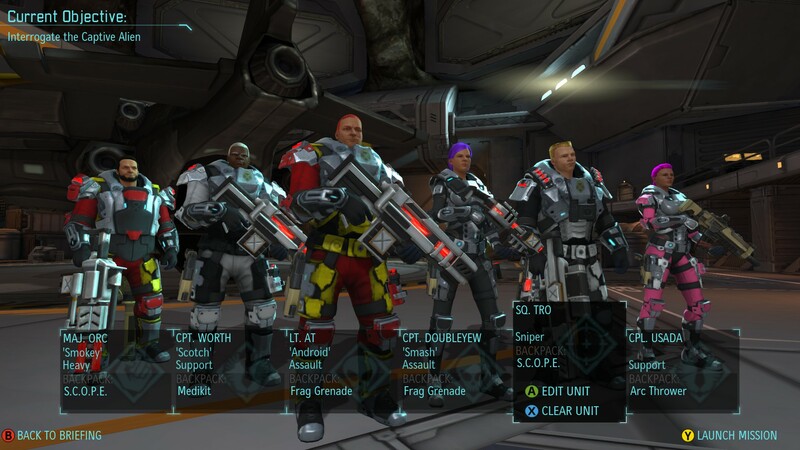 XCOM’s soldiers were winning battle after battle, and coming home almost invariably in one piece. 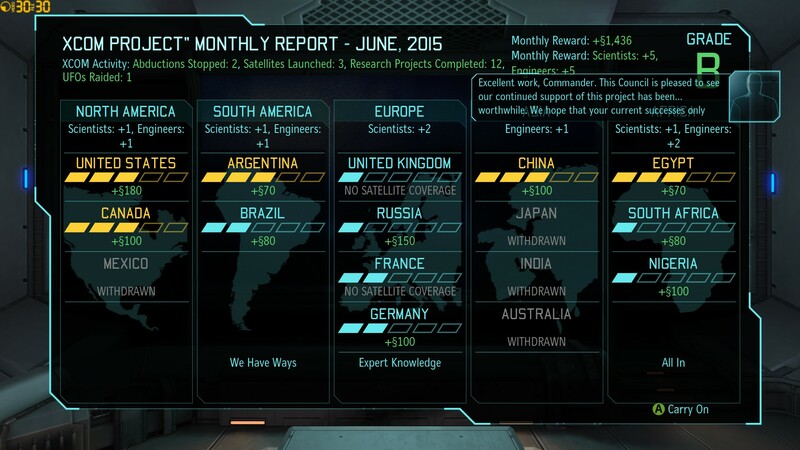 The strategic layer was under control, thanks to XCOM’s ample satellites and newly ample cash. As June 2015 dawns, it seems fair to ask: what could possibly go wrong? After last month’s fiasco with the escaped UFO, I begin the month by constructing enough laser cannon to arm all my interceptors – one on each continent. That uses up most of my alloys, but leaves enough for me to build a few laser small arms for the squad: a second laser rifle, a laser sniper rifle, and a heavy laser. Meanwhile, I begin research on UFO navigation – I have no immediate use for it, but it’ll unlock some juicy treats further into the tech tree. The next call for assistance comes one week into June. Note that there are only two abduction sites, not the usual three. That’s because launching a satellite over a country renders it abduction-proof, starting the next month. Our satellite network is paying off! I feel sufficiently relaxed to bring along two rookies – Wolfox (lemon yellow) and Gunner (blue). The veterans are carrying my lasers, while the rookies make do with ordinary assault rifles. 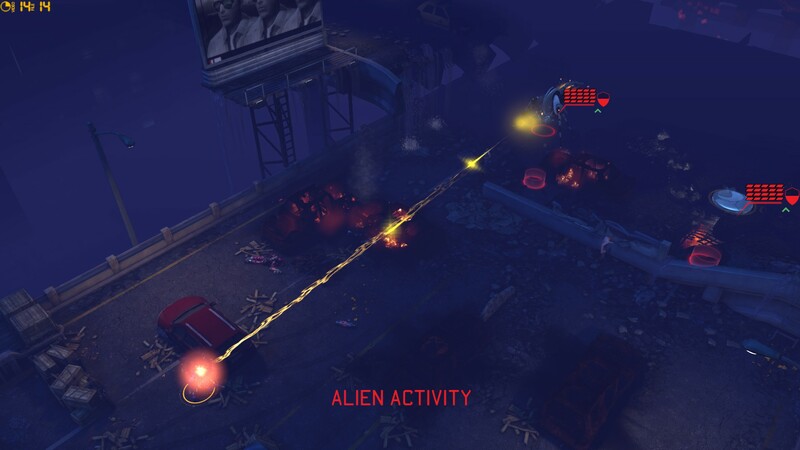 Gunner also carries XCOM’s first-ever arc thrower – the only tool in the game that can stun aliens for capture, and only effective point-blank. High-risk, but high-reward. That miniature flying saucer is a Cyberdisc, a robotic war machine fielded by the aliens. 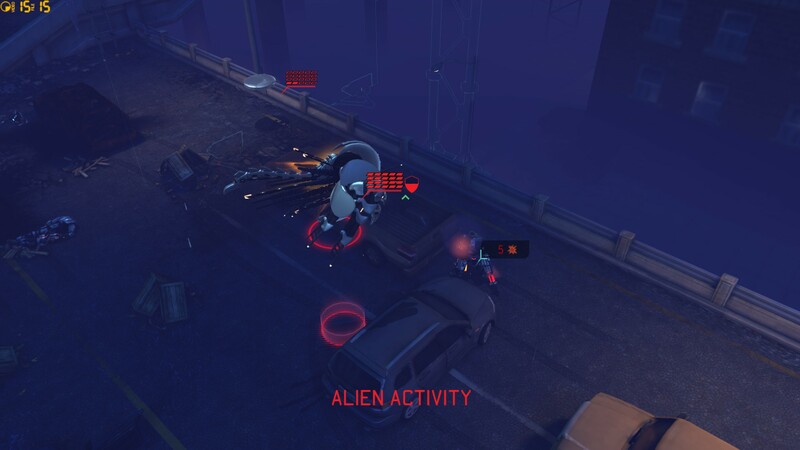 It is tough – note its 20 health, compared to the 5-7 damage that an XCOM laser normally inflicts – and, in its disc form, devilishly hard to hit. When it attacks, it unfolds into a (thankfully more vulnerable) spider-mech armed with a plasma cannon, a grenade launcher, and a short-ranged but powerful area-of-effect “death blossom”. Not visible in the screenshot, but accompanying every Cyberdisc, is a shoal of small repair drones – fail to kill a Cyberdisc in one volley, and its drones could undo all your work! In this case, I can see the Cyberdisc courtesy of LeSquide’s battle scanner, but it can’t see me. I take advantage of this: Rebecca W and Wolfox run along the car park wall, hidden to the Cyberdisc, and Rebecca lobs a grenade over the wall. Thus awoken, the Cyberdisc and its drones blunder further along the car park – and into my squad’s crosshairs. 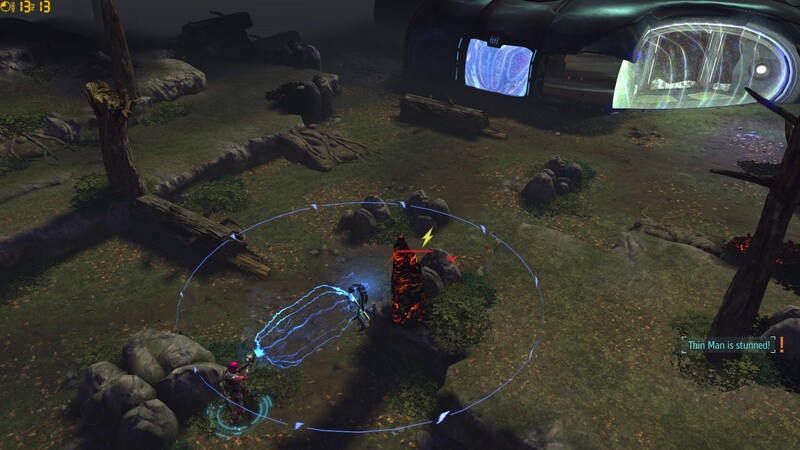 Brian Rubin, who has a special ability that does double damage to robotic enemies (such as Cyberdiscs and drones), lands a lucky shot, and BLAM. No more Cyberdisc. 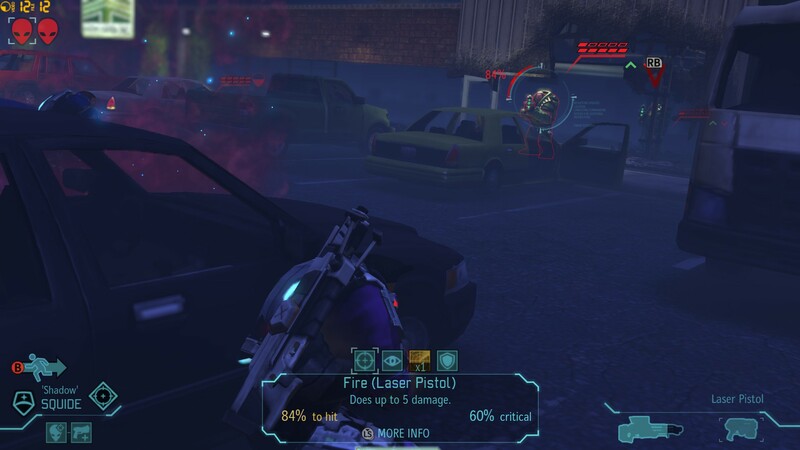 Meet the Muton, “specialised toward front-line combat” with 10 health (not as much as a Cyberdisc, but still more than twice the 4 health of a Floater or Thin Man), a plasma rifle, the marksmanship to make good use of it, and if that wasn’t enough, grenades. There are three packs of them hanging around the car park/building entryway, and before long they’re all in the fray. Wolfox is soon injured, and I retreat him and Rebecca just far back enough for Thasero to run over to their side of the car park and patch up the worst of his wounds. Then the battle is back on. In the end, the Mutons give me the toughest fight I’ve had in a while. Poor Wolfox dies – Thasero had healed him, but not back to 100%, and the next shot finishes him off. Brian Rubin and LeSquide come very, very close – LeSquide is badly wounded, and at one point, Brian had a Muton right in his face. 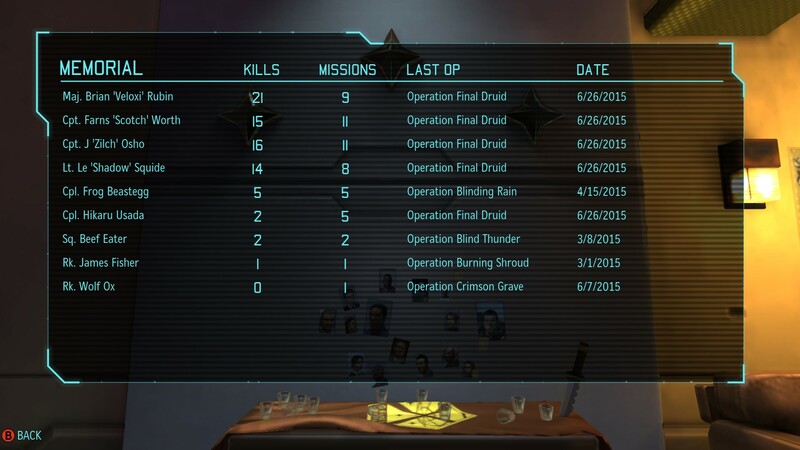 (If he’d missed his shot…) However, Gunner did manage to finish off a wounded Muton! Back at base, I hire a new rookie, 2K Alan, to replace the fallen Wolfox. When research finishes on UFO navigation systems, I quickly knock off an early-game tech, experimental warfare, before returning to UFO power sources. The next battle, another abduction, comes some days later. Since Gunner was promoted to sniper – a slow-moving class – and 2K Alan (a rookie) won’t be much faster on his feet, I’ve opted to leave them at home for now. Instead, arc thrower duty devolves on Usada. With LeSquide in hospital, Riztro comes along as our sniper. Back to Glasgow, and this time we’re fighting along another long, straight road. There’s little cover, save cars and, in a central roadworks area, a large earthmover. 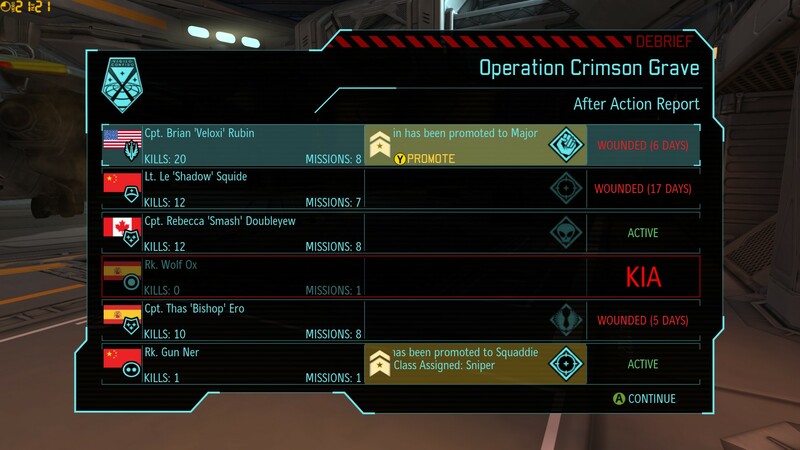 That makes me cringe, as I imagine my squad being cut down by Mutons – but lack of cover is a shoe that fits both feet. 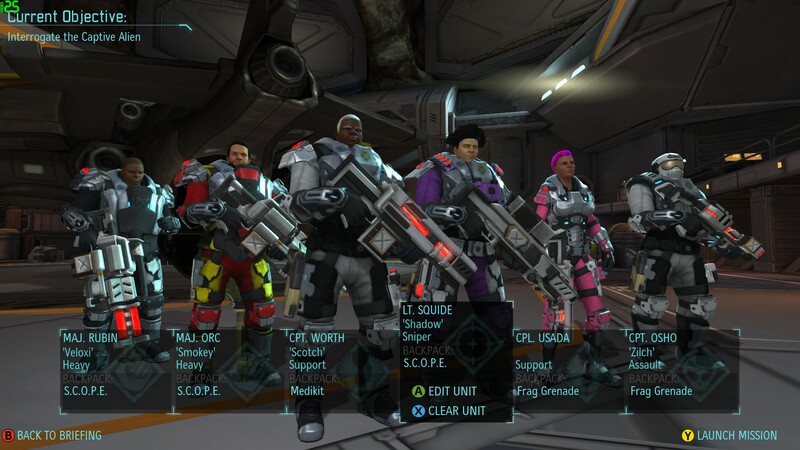 When my soldiers encounter a pack of Sectoids, Usada moves up to stun one with her arc thrower. And it works! 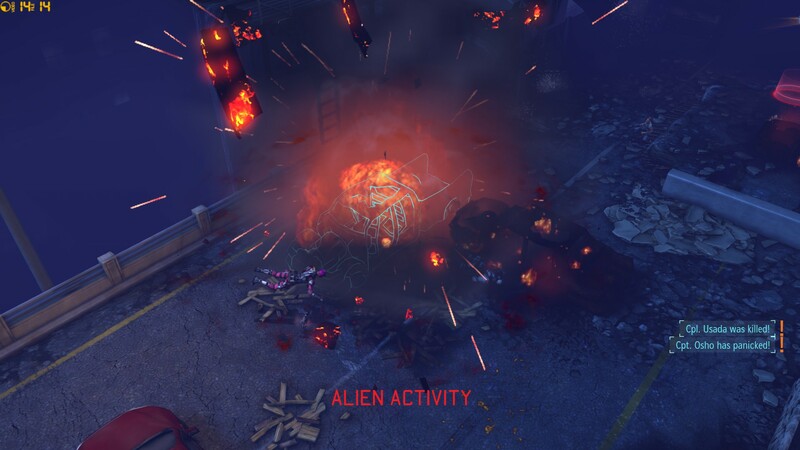 XCOM nets its first captive, and its first intact alien weapon (a humble plasma pistol). 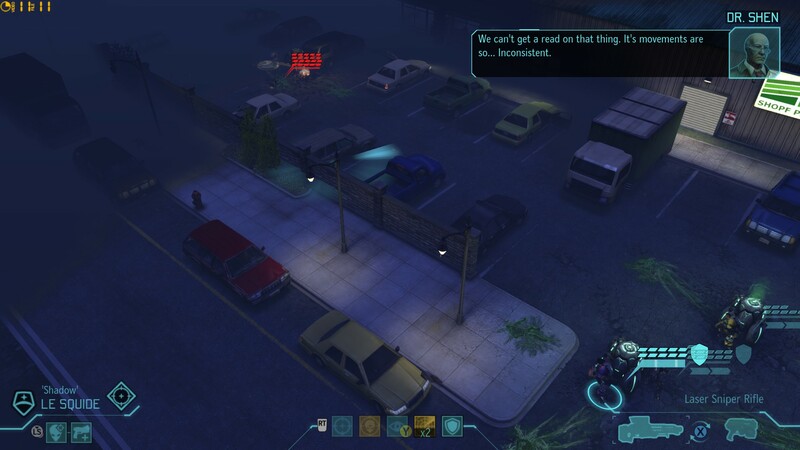 But in the process, Usada draws the attention of several Floaters and their Muton friends. 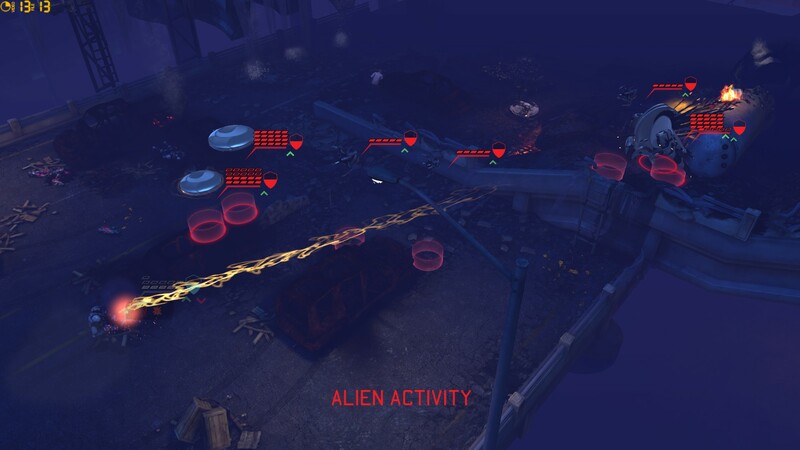 Frantic, she sprints back to the rest of the squad, the Floaters and Mutons in tow. She survives. The aliens, caught in my inadvertent ambush, do not. Following the battle, the grateful UK sends us an experienced sniper: Captain Elyscape. A couple of days later, the science team finishes researching UFO power sources! Together with the previously completed UFO navigation research, this would allow us to begin developing a new fighter aircraft – but for now, I have other priorities. Researching the plasma pistol would take ages, so I order Dr Vahlen to begin researching Elerium, the aliens’ fuel. One week later, my satellites pick up another UFO on the ground. It’s plunder time. Talorc reaches for his rocket launcher to finish it off. CRASH! The rocket explodes in Rebecca’s face, injuring her and destroying her cover. She won’t last one more turn in the open. What follows is a frantic race to destroy the Cyberdisc; Riztro lifts his rifle, takes aim — misses his shot! Finally, Farnsworth brings it down. Whew. After the Cyberdisc drama, cleaning up the remaining aliens – the drones, Thin Men, Sectoids, and the UFO’s Outsider captain – is all in a day’s work. Usada even manages to stun a Thin Man (and retrieve its light plasma rifle) after Kat nerve-wrackingly whittles its health down with his pistol. Hurray! Days later, not long after LeSquide finally gets out of the hospital, the aliens launch another terror attack – this one on Melbourne. I hesitate, wondering whether to send in all my best soldiers – which would mean swapping out Lieutenant LeSquide in favour of Captain Elyscape, and bringing Captain Thasero instead of Corporal Usada. In the end, I decide not to put all my eggs in one basket. Note that Usada has left the arc thrower at home, and that I’ve brought plenty of grenades. Soon the squad encounters its first aliens, two Chryssalids, but this time I’m prepared. 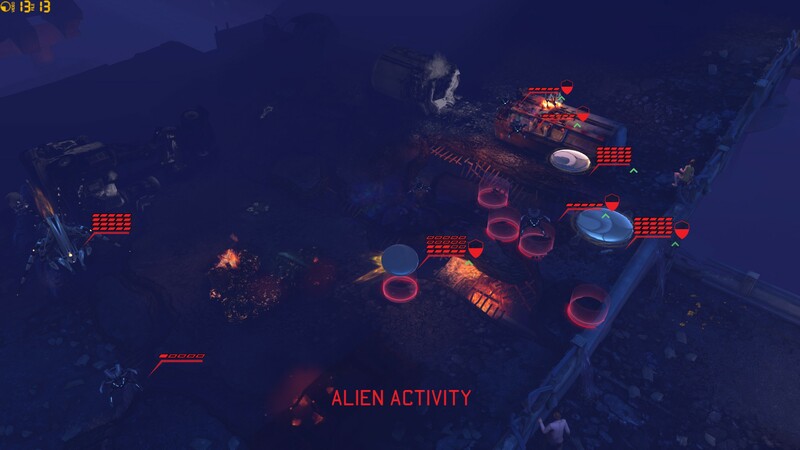 Against six laser-armed XCOM soldiers, the Chryssalids don’t last long. I press forward, with Brian Rubin – ensconced behind a particularly tempting bit of full cover – lagging behind. I end my turn. They’re hard to hit (at least in their floating disc form). Heavily armoured. In this case, numerous. And as this is the first battle in which enemy Cyberdiscs have survived long enough to shoot, I discover they are lethal, oh so lethal. First to fall is Farnsworth. I pull him back behind two nearby cars, but that’s not far enough, nowhere near far enough. A laser beam from Usada sets one car on fire, but before that can become an issue, a Cyberdisc grenade lands at his feet. The grenade explodes, wounding him– and detonating the car. The second blast sends Farnsworth flying through the air. Dead. Usada is next. I would like to say she went out a hero, but the reality is when bits of Farnsworth land at her feet, she panics and freezes in place – right behind a second burning car. The earlier car explosion (the one that did for Farnsworth) badly wounded her; the second finishes her off. Third to die is LeSquide. Nothing fancy here; he even managed to avenge Farnsworth’s death by finishing off a damaged, spider-form Cyberdisc with a well-aimed laser blast. On the aliens’ turn, two of the remaining Cyberdiscs fire back, and their plasma cannon tear through his armour like tissue paper. By now Brian Rubin is in the fight, blazing away – to little effect. With the Cyberdiscs closing in, I decide to try something unorthodox. Josho has pulled himself together after an earlier bout of panic, so I send him sprinting at the closest Cyberdisc. He fires his scatter laser at it, hits both times – and only damages it. The Cyberdiscs take him apart. It’s just the two Majors left now, Brian Rubin and Talorc. Brian fires at a Cyberdisc, badly damages it. His heavy laser runs dry. 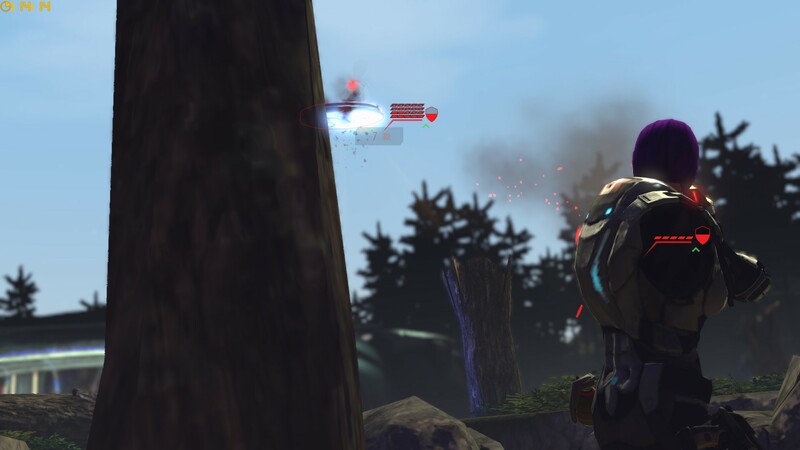 Unable to fire again, he reloads his laser, looks up to see an undamaged Cyberdisc in his face. It fires its plasma cannon, wounds him. The second, damaged Cyberdisc moves up onto his other side. And that is the end of Brian Rubin. 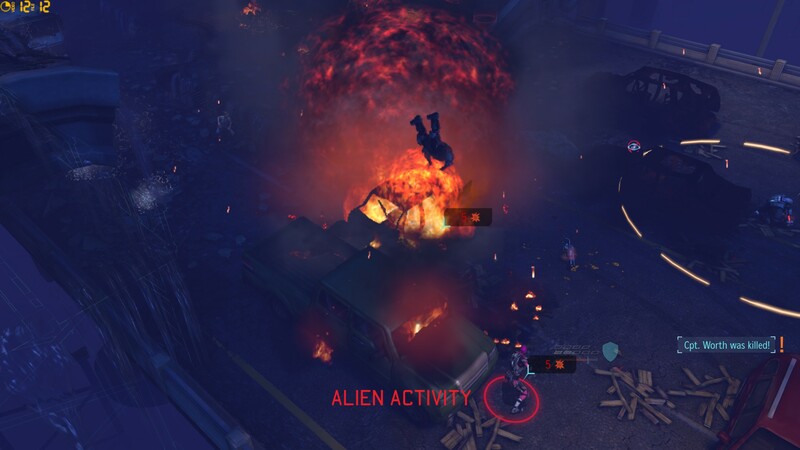 It’s a black day for XCOM, and it gets worse. 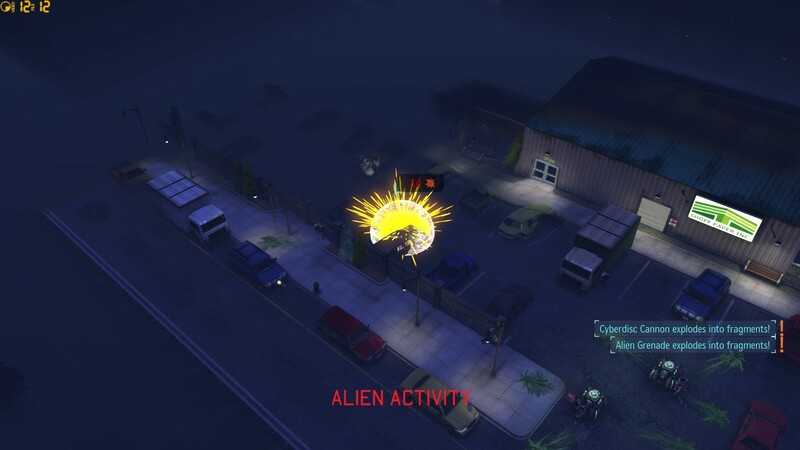 After our shameful display, Australia quits the Council and surrenders to the aliens – effective immediately. And panic spikes across the rest of Asia, pushing India over the edge. Since I already have a satellite over India, I have no levers left to reduce panic in that country, and it, too, surrenders at the end of the month. Reviewing that disastrous performance, it’s clear I made mistakes. Probably the worst was that Brian, the squad’s anti-Cyberdisc specialist, was too far back to engage the Cyberdisc horde at the start, and I was reluctant to move him out of his full cover until it was too late. Either I should have pushed him forward (full cover or no full cover), or else I should have been quicker about pulling the rest of the squad back to where Brian could have covered them. Josho’s suicide charge was also a horrid, futile idea. But even if I’d played perfectly, I’m really not sure how much better I could have done in that situation. Cyberdiscs are tough, very tough, mid-game opponents. Even if Brian had been in position, (A) he’d have had a hard time hitting them, and (B) they were so spread out that rockets wouldn’t have been able to damage more than one at a time. 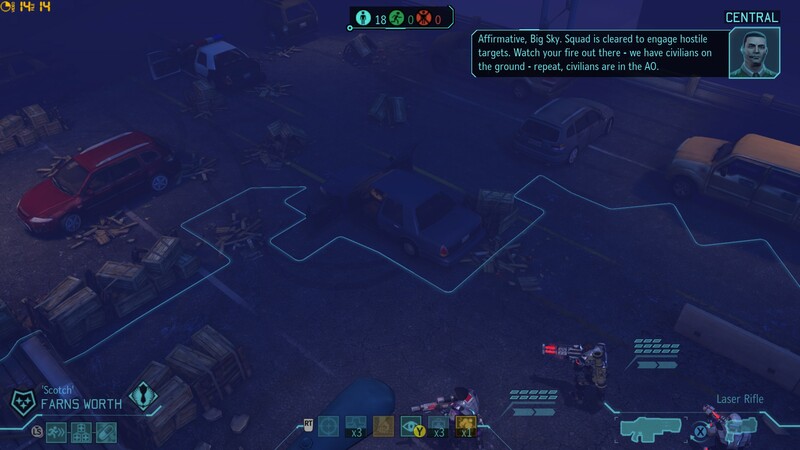 Furthermore, most of the cover on the map consisted of cars — and as Farnsworth’s and Usada’s fates showed, cars are to Cyberdiscs what explosive barrels are to FPS protagonists. That was not a good hand the game dealt me. This is not the end of the world. My satellite network is now almost complete, save for the UK and France. 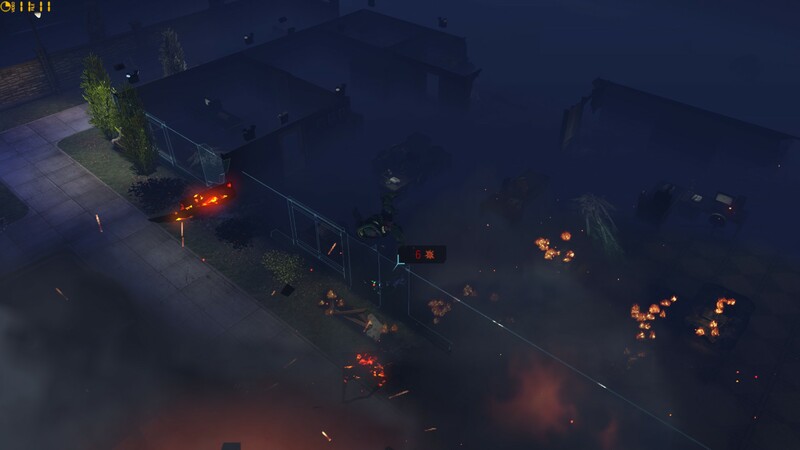 I have adequate money and resources to rebuild: several Officer Training School upgrades later, I’m able to replenish the barracks with some pre-levelled soldiers (Squaddie Bruce Geryk – Assault and Squaddie Swordlily – Sniper, while 2K Alan also gets a promotion to Squaddie Support). I’ll have new tricks up my sleeve soon – Dr Vahlen’s team finishes research on Elerium and commences work on new, ultra-tough Titan armour, while my monthly funding cheque allows me to begin construction of the Foundry, the doorway to many tempting upgrades. 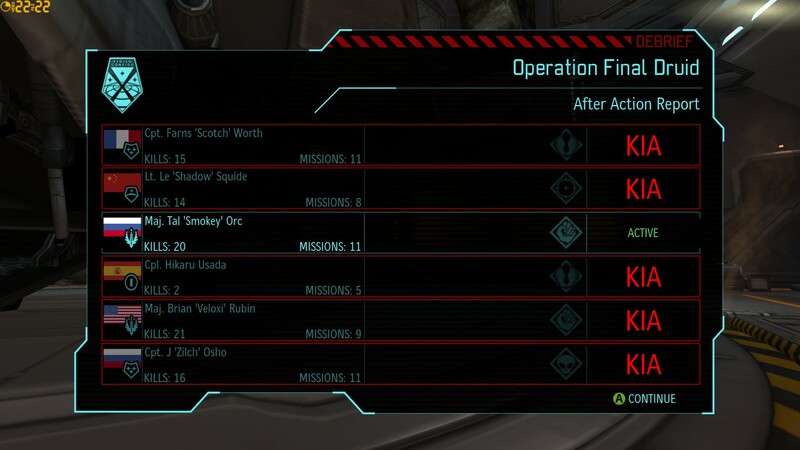 Last but not least, I have enough surviving veterans to form the nucleus of a new squad. 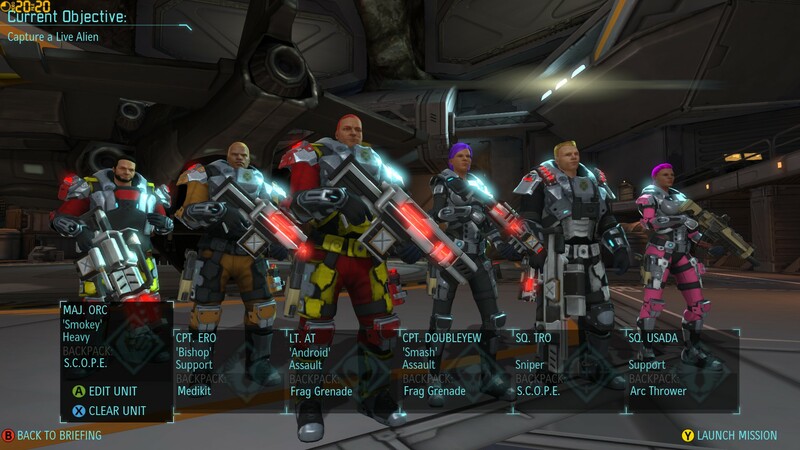 XCOM is still in the fight. But this last battle was a nasty wake-up call. It is very much still a fight, and things can still go horribly wrong. KIA in this instalment: Major Brian Rubin, Captain Josho, Lieutenant LeSquide, Corporal Hikaru Usada, and Rookie Wolfox. 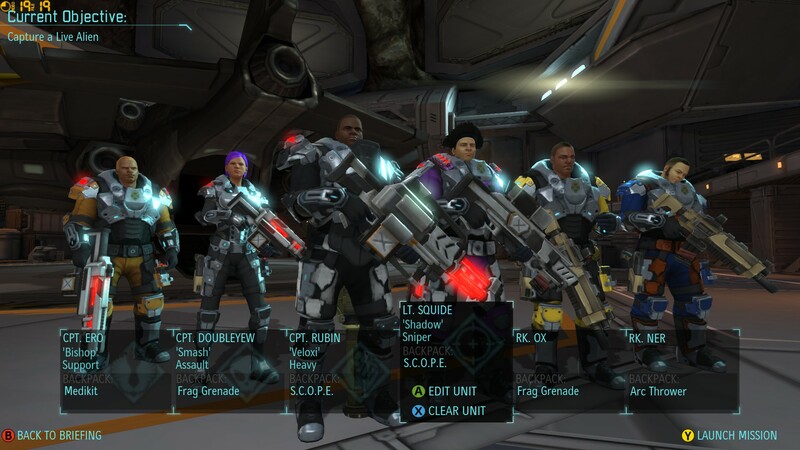 Posted in AARs / LPs, Games, PC Games, Strategy Games and tagged xcom: enemy unknown.